We understand the right billing contact changes all the time in large organisations. 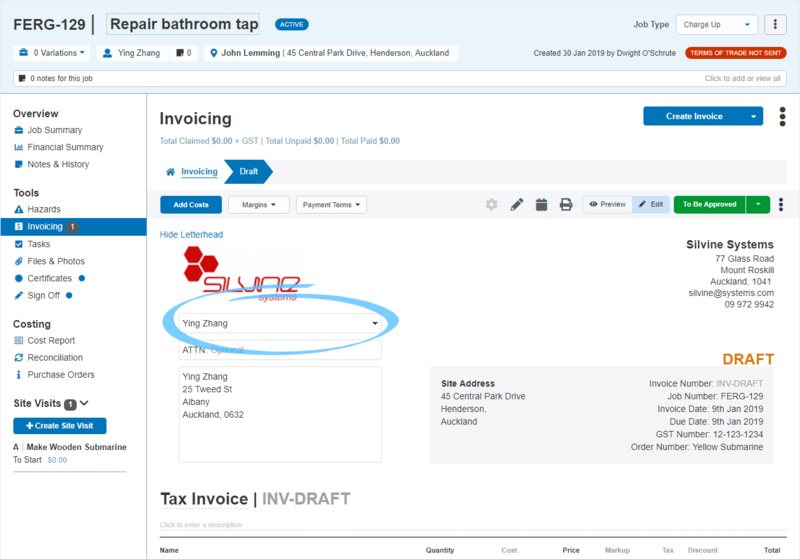 Now, you can choose on the fly on each Invoice, Quote or Estimate who the document should be addressed to. You should use this functionality when you have a new Billing Contact on the job for this specific Customer/Job. The feature will allow you to search through that Customer's contacts if the default billing one is not relevant for this document. Note: You can't edit the customer name on an invoice once it is Approved. To change the name, Duplicate the invoice to create a copy and Void the original invoice.